To enrich and empower the lives of single parents, especially those that are in need, suffering, facing a crisis or loss of a job by assisting them with their children in all aspects including childcare and employment opportunities to be positive and influential role models for their children with parenting and training programs to become self-sufficient and productive citizens by providing job and vocational skills and support training programs.. In addition, we help our teens discover their own unique talent, passions and goals and give them the tools to actualize their deepest potentials we don't just show them how to use them we give them the necessary tools and assist them in being all they can be. To invest in our children and youths through knowledge, character building, education, and guidance so that they can stay focus, in school and out of trouble by providing positive and educational programs, teen's activities after-school programs and developing their talent for the arts ; to build their self-esteem; to be able to set goals for the future; assist teens with parenting & becoming responsible, respectable, independent and well educated adults who can give back to their community in the future.  At the Single Parents and Teens Foundation of Dallas, we are passionately committed to bringing awareness of the bullying epidemic plaguing our nation into school districts across the country. Our fully immersive, interactive events bring together nationally-recognized, award-winning performers with top-tier public speakers, to raise awareness of this epidemic in our schools. Our events do not stop after the curtain closes, however. Included as part of our package is an always-evolving post-event curriculum in which students continue their work on engendering tolerance, acceptance and inclusion. And we only bring the best of the best.